Whether life’s simple pleasures include avocado is up for debate, but fudge and brownies are first on the list, and this muffin combines both while concealing the debatable fruit. 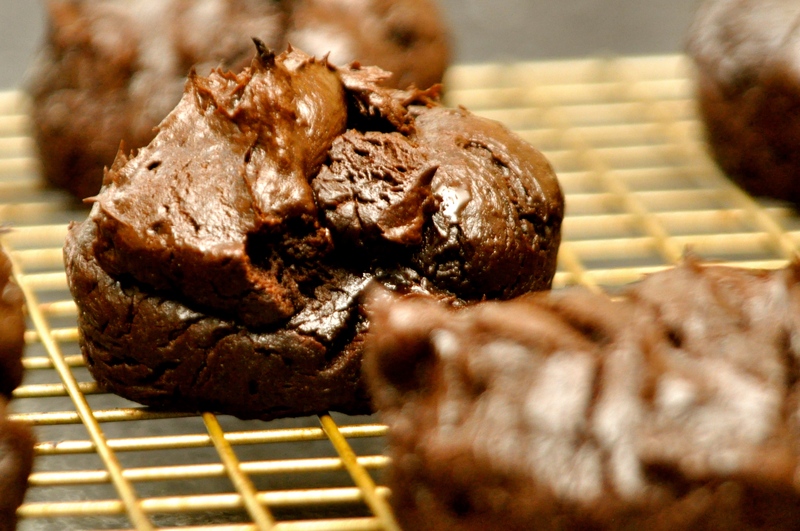 Dark chocolate and fudgy mousse come together with avocado in this incredibly decadent muffin that tastes like a brownie. In addition to being velvety smooth, this recipe just so happens to be grain-free and dairy-free. The pureed avocado adds a creamy texture without influencing the taste. If you ever make a muffin, this is the one to make. 1. Preheat your oven to 355°F. 3. In a food processor or blender, puree avocado with eggs, vanilla and water until smooth. 4. In a microwave safe bowl or glass measuring cup, melt chocolate in 30 second increments until smooth. 5. Add melted chocolate to avocado mixture and mix through. 6. Add cocoa, sugar, baking soda and salt and mix until just combined. 7. If mixture is too thick, add 1 tablespoon of water and combine. 8. With an ice cream scoop, spoon mixture into muffin pan. Smooth out tops (optional). 9. Bake for 20-23 minutes or until an inserted knife comes out clean. 10. Allow muffins to cool for 4 minutes before removing them from the pan. Chill in the fridge. These will last in the refrigerator for a few days (and are even better after a day or two). They keep in the freezer for months.